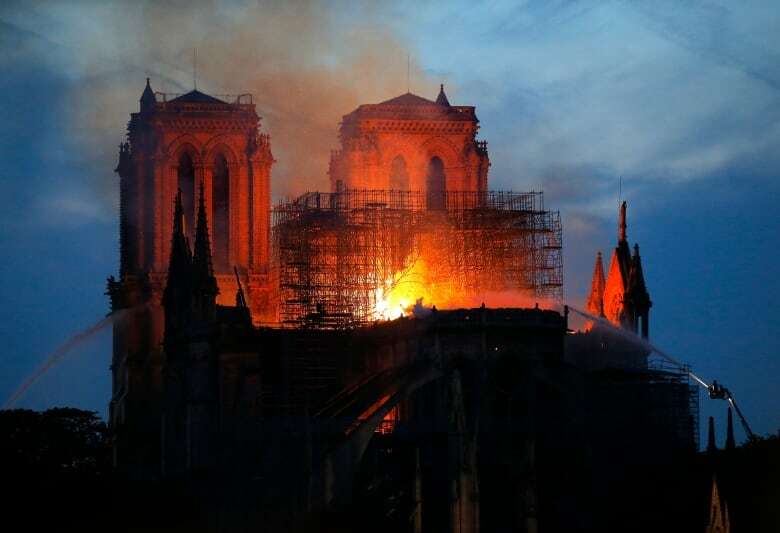 Just hours before flames engulfed the spire one of the world's most recognizable cathedrals, Canadian Ashley Creed had been inside the centuries-old Notre-Dame Cathedral, marvelling at a piece of history she'd only seen in history books. 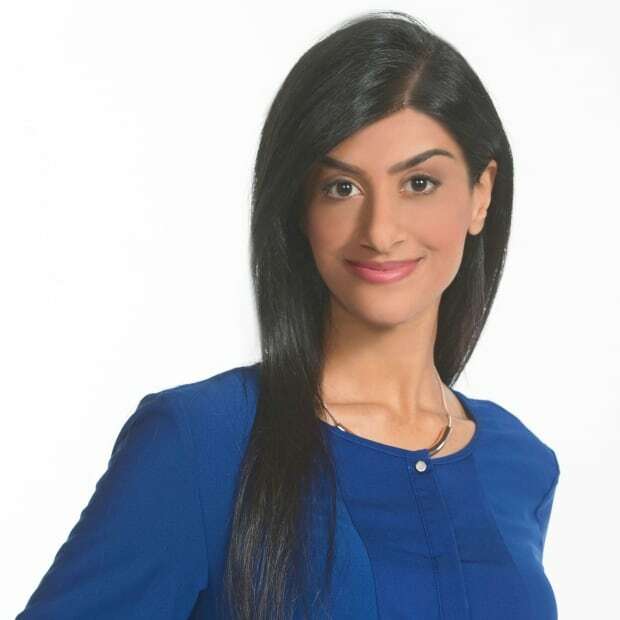 For Creed, who studied medieval history at the University of Toronto, seeing the structure with its famous Gothic architecture and intricate beauty was a moment she knew she'd never forget. But she never imagined this would be why. "This was a bit of pilgrimage for me," Creed told CBC Radio's Here and Now by phone from Paris. "I was hoping to see history, not history in the making," she said, as she watched the iconic spire burn from a bar across the street. "This is one of the jewels of Paris," said Creed as she watched. "It's absolutely heartbreaking." Adding to the pain, she said, was that it came just one day after Palm Sunday, which Christians hold as marking Christ's entry into Jerusalem and the start of his journey toward crucifixion. "This is the most sacred time of the year for us, and certainly there's no time when such a terrible thing would be good, but this is our most sacred time," he said. "A church is made of stones and wood and things like that, but it represents the presence of God, it represents the spirit of the human heart reaching out to worship God and serve our neighbour, and so it is very sad of course also for [that] more profound reason." 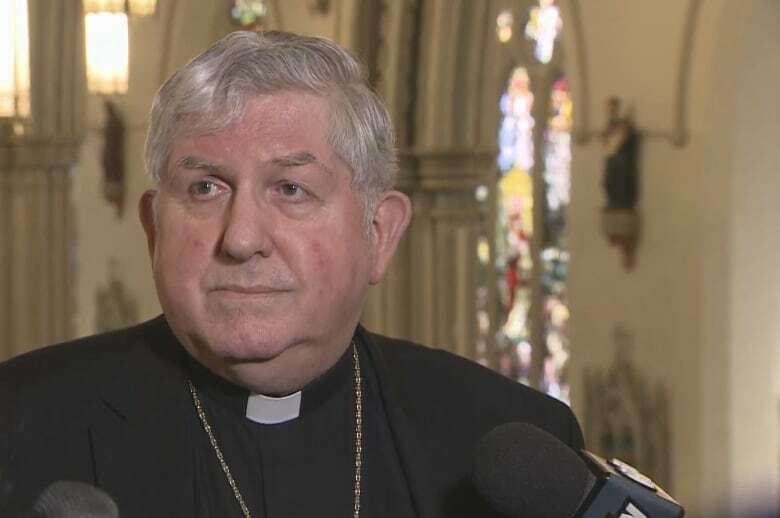 Collins said his thoughts were especially with the people of the Diocese of Paris, for whom the cathedral "is a symbol of God on earth." 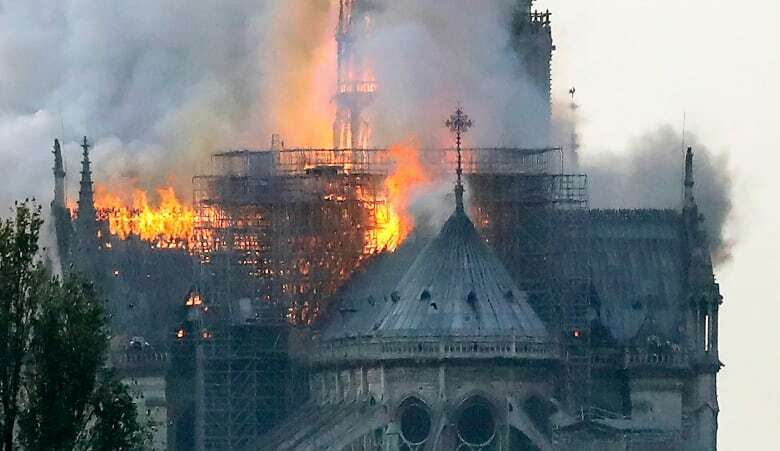 In Montreal, the bells of the city's Notre-Dame Basilica rang in solidarity as the Paris landmark was consumed by flames. 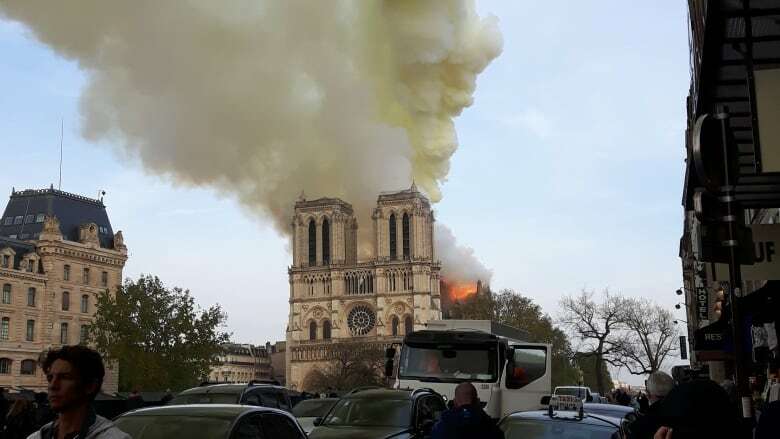 Pastor Miguel Castellanos said in a post on the Montreal church's Facebook page that he's in shock over the news of the fire at Notre-Dame de Paris, which he described as a jewel of architecture and an exceptional cultural, historical and religious symbol. In addition to sharing a name with the French cathedral, Old Montreal's Gothic Revival-style basilica owes its architectural inspiration to the two towers of Notre-Dame de Paris. As night fell over Paris, the sky was marked by "eerie glow of orange," said Creed. "There's throngs of people still just on the streets mourning the loss of this"
"It's just a very sad energy," she said. "I mean, you've got tourists and Parisians alike just standing, watching, and it's incredibly sad. I don't know any other way to describe it. "It's bringing people together — but under the worst circumstances."